Darryl Paulson: Who will seek long-serving Congressman Bill Youngs Florida seat? When reviewing the Fintech ltd we have extensively put it under lots of tests and we have come to the next conclusion. 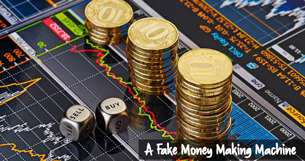 The binary trading option known as Fintech ltd is not, in fact, a scam and we can highly recommend it to anyone willing to learn how to use it. Congressman Bill Young’s announcement Wednesday that he would retire at the end of his current term took politicians across Florida by surprise. Young, who has represented Pinellas County since 1970 and is in in his 22nd term, is the longest-serving Republican in the House. During his tenure, Young has secured hundreds of millions of dollars for his district. Critics call him the King of pork”; his constituents call him a great representative. You cannot go anywhere in the Tampa Bay area without seeing the influence of Congressman Young. Highway 19, long considered one of the worst roads in the state, was widened and overpasses were installed at major intersections, thanks to Youngs influence. MacDill Air Force Base in Tampa, scheduled for shutdown in a recent Base Realignment and Closure Commission report, was kept opened and expanded due to Youngs intervention. MacDill is not even in Youngs district. Young has done as much for veterans as any member of Congress. The state-of-the-art medical facilities at the Bay Pines Veterans Hospital were due to Youngs political clout. The facility was recently selected as the top VA hospital in America. Young secured federal funds for numerous programs at St. Petersburg College, where he has his primary district office. He also secured millions of dollars in grants and equipment for the University of South Florida Marine Science Center, which now bears his name. Unlike many Republicans, Young has led on environmental issues, including the cleanup of Tampa Bay and combating erosion on Bay Area beaches. Although his retirement shocked many, Young had actually planned to retire in 2010, a fact I announced on a Tampa TV political program. Young changed his mind in 2010 and ran for reelection, leading one political blogger to suggest that I should eat crow. I wasnt wrong, but conditions had changed. In 2010, the public reaction to Obamacare was intense. Republicans won seats held by Democratic governors in New Jersey and Virginia. The real game changer occurred when Scott Brown defeated Democratic favorite Martha Coakley for the U.S. Senate seat held by Ted Kennedy. Suddenly, Democratic members of the House started to announce their retirements. The Republicans had to pick up 40 seats to take over control of the House. It was possible, but only if Republicans like Young did not retire and put their district in play. Republican leadership pressured Young not to retire. Instead of spending money to defend Youngs seat if he should retire, that money could support Republican challengers to incumbent Democrats. Young relented and ran again and Republicans picked up more than the number of seats needed to win control of the House. Republicans have held Youngs congressional seat since 1954, when Republican Bill Cramer defeated Democratic incumbent Courtney Campbell. Cramer held the seat until his unsuccessful attempt to run for the U.S. Senate, and Young has held the seat ever since. Democrats have a prime opportunity to pick up a Florida congressional seat in a district that is trending Democrat. In three of the four presidential elections since 2000, voters in Youngs district have supported the Democratic candidate over the Republican, although all four elections have been close. Youngs challenger in 2012, Jessica Ehrlick, received 42 percent of the vote to 58 percent for Young. This 16-point margin of victory for Young was actually his closest election during his 22 campaigns. Now that Young is out, Democratic challenges are going to emerge like worms after a heavy rain. The most likely Democratic candidates are County Commissioner Charlie Justice, who unsuccessfully challenged Young in 2010, and Ken Welch, the only black on the county commission, but someone who has shown crossover appeal. Another Democratic possibility is Charlie Crist. Crist lives only a few blocks outside the district and would have to establish residency, but he might prefer a House seat from Pinellas versus a bloody and expensive campaign against Rick Scott. There is also talk that Crists wife Carole much prefers the D.C. environment to a return to Tallahassee. A new name in the Democratic field is Peter Wallace, a St. Petersburg attorney and former Democratic Speaker of the Florida House. The Wallace family is a Pinellas County powerhouse, but Peter Wallace has not held office in over 15 years. Prominent Democratic elected officials are urging Wallace to enter the campaign. For Republicans, the three names at the top of the candidate list are state Sens. Jack Latvala and Jeff Brandes, although both Latvala and Brandes say they will not run for Young’s vacant seat, and former St. Petersburg Mayor Rick Baker. County Commissioner Karen Seel is also a possibility. David Jolly may be the sleeper candidate for Republicans. Jolly served as a former aide to Congressman Young and was set to run for the seat in 2010 until Young had his mind changed for him. Jolly is a Washington consultant who has retained close ties to Young and is well connected to the Republican establishment. As soon as Youngs retirement was announced, praise from the political establishment flooded the airwaves. U.S. Sen. Bill Nelson, a Democrat, said Young was always someone who approached solutions in a bipartisan way. Tampa Mayor Bob Buckhorn, another Democrat, said, I always supported Bill Young in spite of what my party wanted because I knew how good he was for this community. If his opponents are saying such positive things about Young, he must have done something right during his congressional career. That, in itself, makes Young different from most politicians. Darryl Paulson is Professor Emeritus of Government at USF St. Petersburg specializing in Florida and Southern Politics and political parties and elections. He has over 50 publications, mostly focusing on race and civil rights issues in Florida and the South. He is currently working on a book chapter on the Jeb Bush Administration and a book on The Emergence of the Modern Florida Republican Party: From Cramer to Scott. Paulson has been interviewed over 7,000 times by the print and broadcast media including The New York Times, Washington Post, Wall Street Journal, CNN, The Today Show, Nightline, C-SPAN and all the major network news programs. He holds the unique distinction of being the only academic in America to have been hired numerous times by the state and national NAACP while serving as a Fellow at the Heritage Foundation. Paulson has served as an expert witness on the 1992 reapportionment of Florida’s Congressional districts which led to the election of the first three black members of Congress from Florida since Reconstruction. He testified at the request of the U.S. Commission on Civil Rights on Alleged Voting Irregularities in the 2000 Florida Presidential Elections and is currently involved in a challenge to Florida’s elections laws. That case will soon be heard in Federal District Court in Tallahassee.